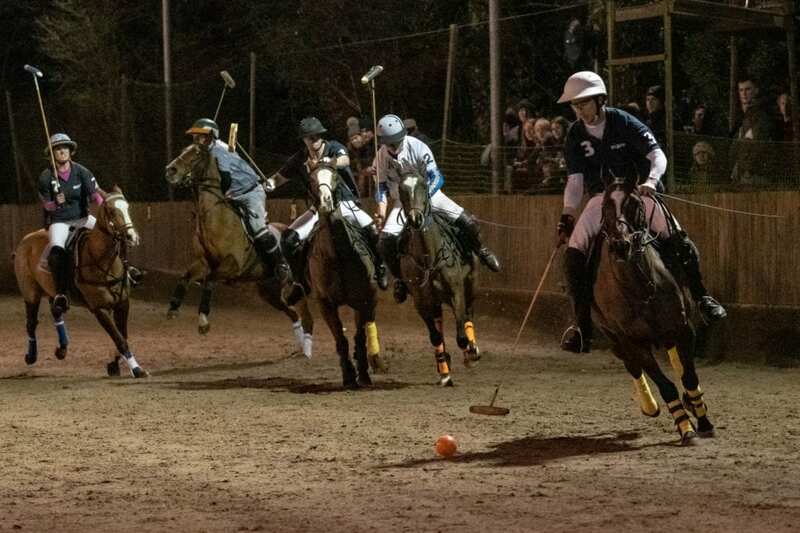 Fireside Polo went ahead on Saturday evening, despite some fears about the weather! Sure enough, there was some rain, but not enough to dampen spirits at Druids and it soon cleared up to leave us with a dry and mild January evening. First up in the subsidiary final of the Victor Ludorum 8 goal Watersfield Trophy were teams Fairhaven and Drybrook. These two teams seemed closely matched with neither gaining much of a lead in the first half. 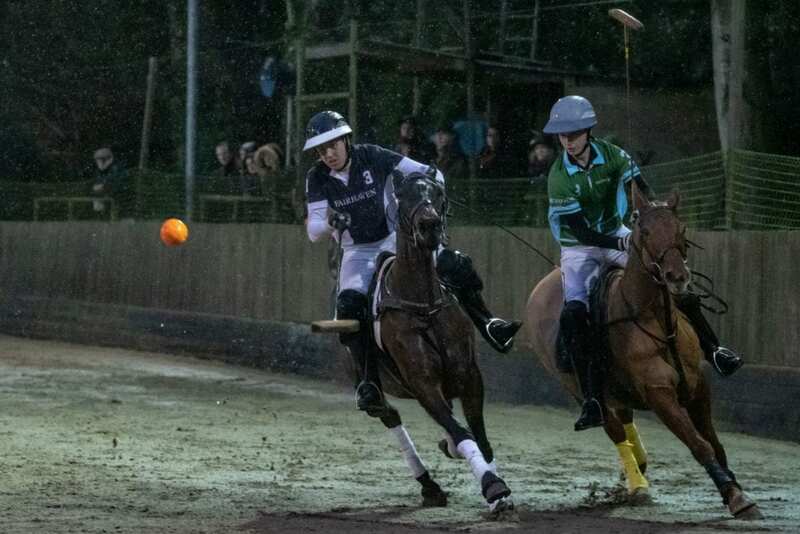 Fairhaven stretched their legs in chukka 3 and a trio of goals from Robin Spicer put them firmly ahead going into the last. Drybrook then staged a bit of a comeback in chukka 4 and some great goals from Benny Nott began to close the gap. Sadly for them it wasn’t enough and the score at the final bell was Fairhaven 16 – Drybrook 13. After a pause (ostensibly to roll the arena but also to acquire a pizza and knock back a sloe gin or hot chocolate!) the final got underway, Mace vs HB Lions. 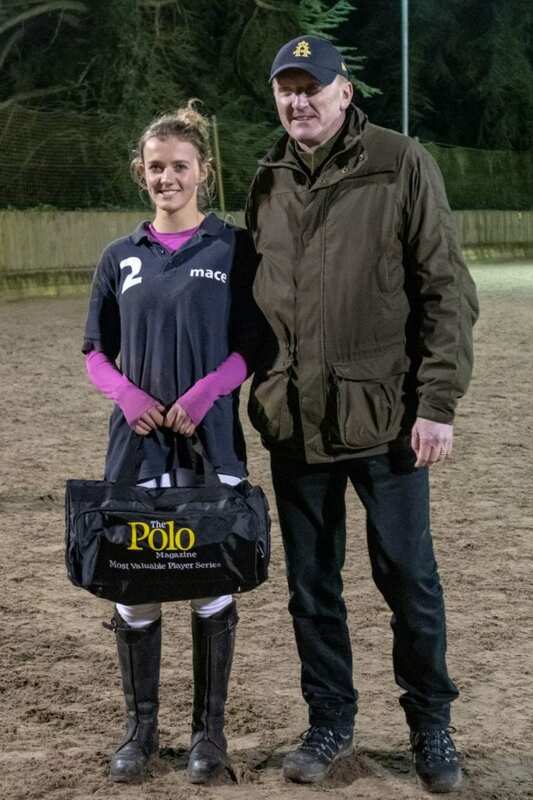 First to score was Eden Ormerod for Mace but HB Lions were quick to respond and the score stayed relatively close for the first two chukkas. 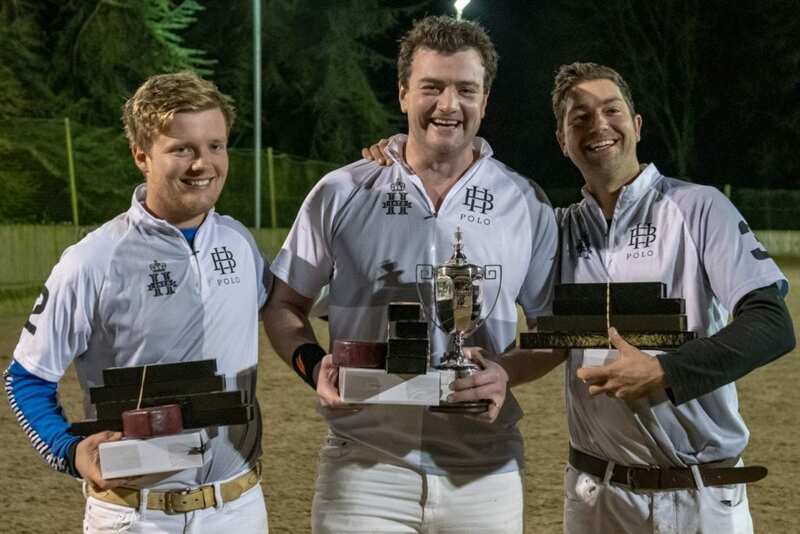 After presumably drinking some rocket fuel at half time, Niall Donnelly returned to the arena for chukka 3 and quickly notched up five more goals for his team. A further two from Eden Ormerod put the score at 11-7 in favour of the lions as they went into the fourth and final chukka. 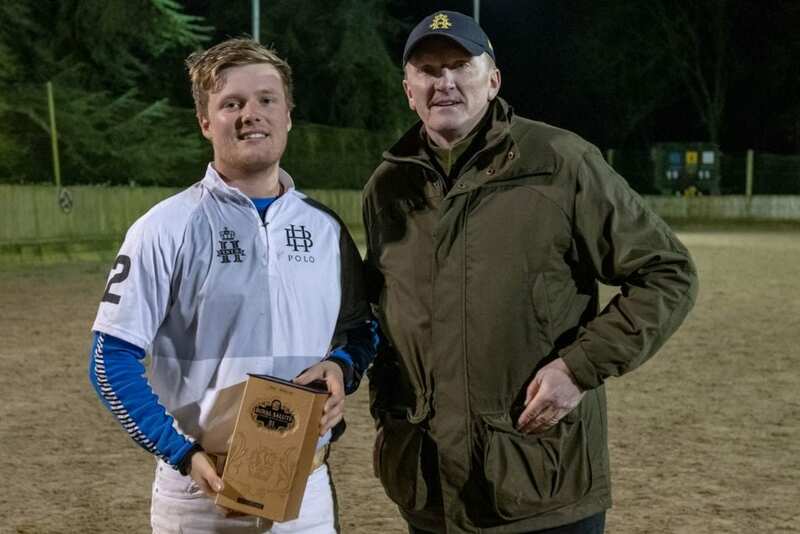 Mace found their feet again in the last but it was sadly too late to really catch up and the score on the final bell was HB Lions 15 – Mace 10. 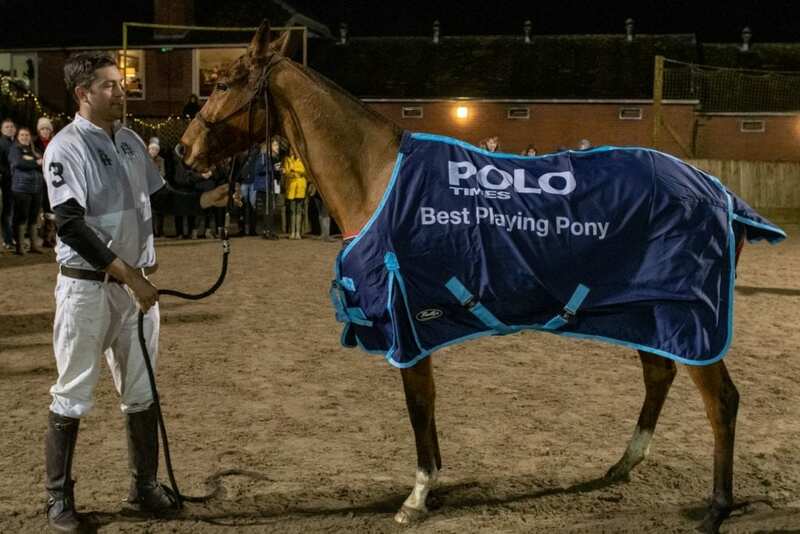 The Polo Magazine’s MVP award went to Hannah Parry Jones and Niall Donnelly’s “Twiglet” took home the Polo Times Best Playing Pony rug. Polo Line’s Horsemanship Award this year went to Harry Muddle. Many thanks to our spectators for braving the weather (and being rewarded with some beautiful skies!) and to our sponsors and suppliers, the staff here at Druids and finally, and most importantly, to the grooms and the ponies, without whom the show simply wouldn’t happen.